Lancaster High School Senior Keirston Cuellors celebrates after she voted and received her "I Voted" sticker. BEST SOUTHWEST—The youth vote has always been the holy grail in tight national and local political races. Whether they are “Rocking The Vote” as in the 90s; “Vote or Die” as in 2000s or, most recently, “FeelingTheBern” in 2016. Establishment candidates have consistently failed to grab youth attention and then turning that attention into actual votes. Researchers say that if Mitt Romney had split the youth vote in key states in 2012, he could have become the 44th President. A 2012 analysis by Tufts University says if Romney had split the youth vote 50-50 in Florida, Virginia, Ohio and Pennsylvania he would have flipped those states to his win column. It’s too early to get voter demographics from Tuesday’s election. Rock The Vote President Heather Smith relates increased turnout over presidential elections in 2004, 2008 and 2012 shows high voter turnout is a “new normal” with the millennial generation. In the 1990s, GenX youth turnout was regularly less than 40 percent. In spite of continuing efforts to capitalize on the youth vote, educators in Best Southwest schools have definitely sparked political interest among local students. There were a number of classroom and campus elections held in DeSoto, Duncanville, Lancaster and Cedar Hill. 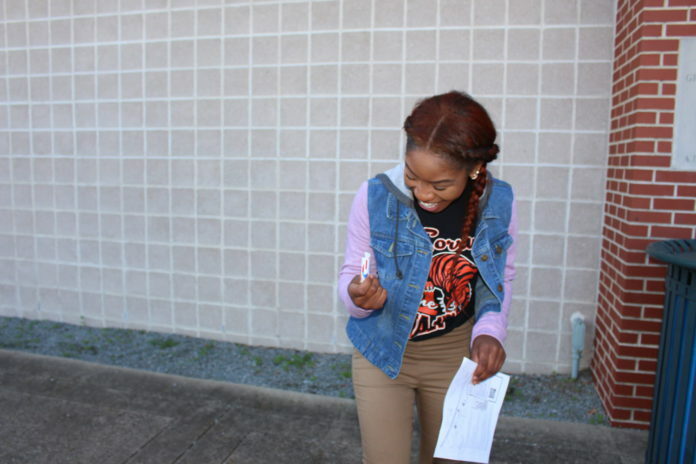 Throughout Tuesday students in Camille Holmes’ English Class cast ballots for the next U.S. President. DeSoto West Middle School students participated in an online nationwide program where junior high students discussed the political process and cast their votes for the next Commander in Chief. At Lancaster High School, legal voting age seniors had the opportunity to take time off from class and cast the first ballot in an election. Area teachers say no matter what subject area they currently teach, civic responsibility is always on the curriculum. Moreover, a village mentality is key for a socially aware and responsible generation. All mentors, parents and teachers need to play their part and educate children about the concepts and importance of civic duties. 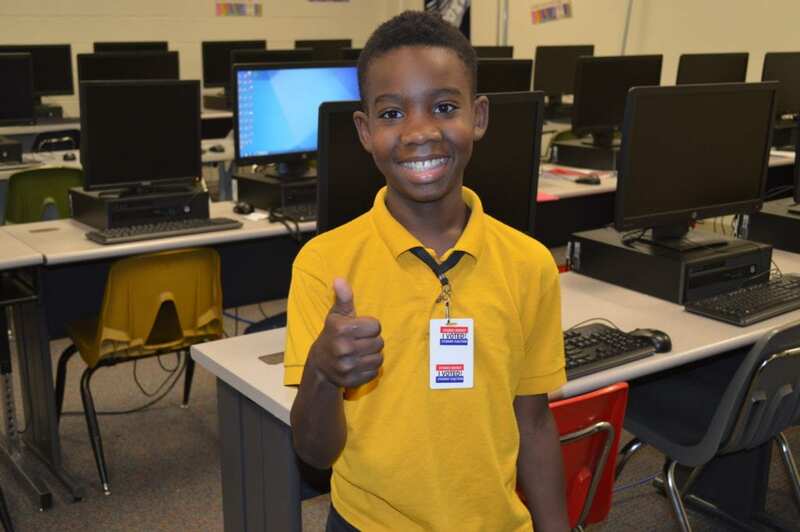 DeSoto West Middle School student receives ‘I Voted’ sticker after casting online ballot. 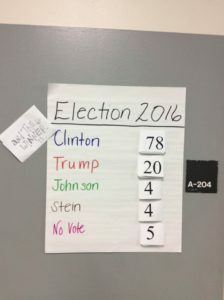 It’s pretty safe to assume during mock elections nationwide, many youth relished the idea of electing the first female President of the United States. Hence, there were a number of walk-outs and rallies at high schools and college campuses protesting the outcome of the election. #NotMyPresident flooded many social media sites. During one of the more human moments of the Clinton 2016 campaign, the democratic Presidential Nominee called for maturity, unity and continued civic responsibility among her youth base. Next article2017 Audi R8: Women Like To Drive Fast Too!